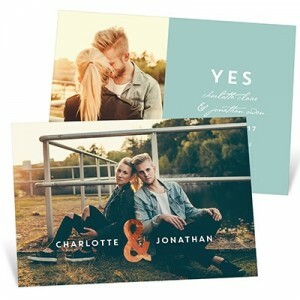 Wait till you see our shiny new save the date ideas! 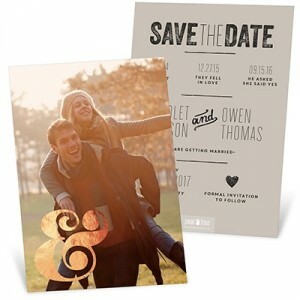 These foil-stamped save the date cards make the most of your beautiful engagement photos, dressing them up with foil fonts, foil confetti, foil hearts and foil ampersands for looks you’ll only find at Pear Tree. You can even choose from four different foil colors and styles: gold, silver, copper or glitter gold. Congratulations on your engagement! 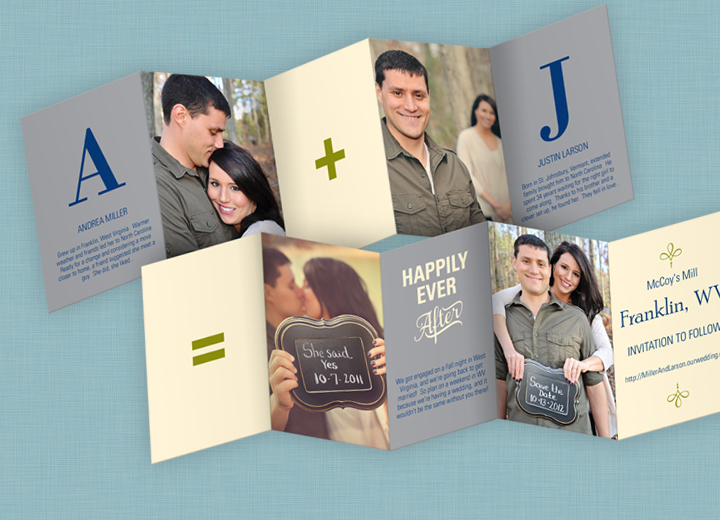 We are so excited for you to begin the wedding planning journey. You can refer to our wedding planning checklist to make sure you stay on track with your to-dos. 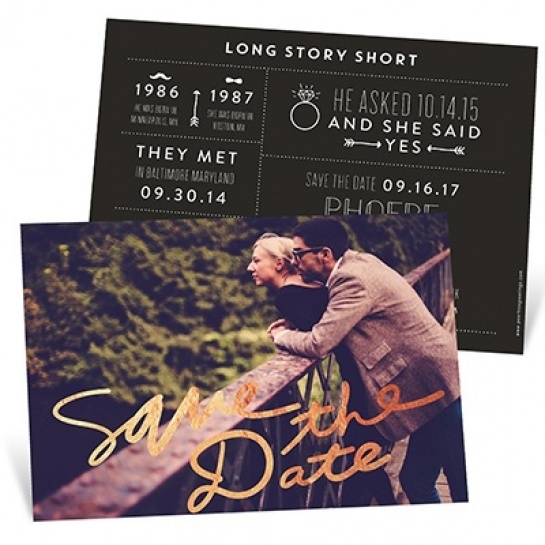 But if you have already figured out your date, ceremony location, reception location and time then you are ready to start creating your save the date cards! 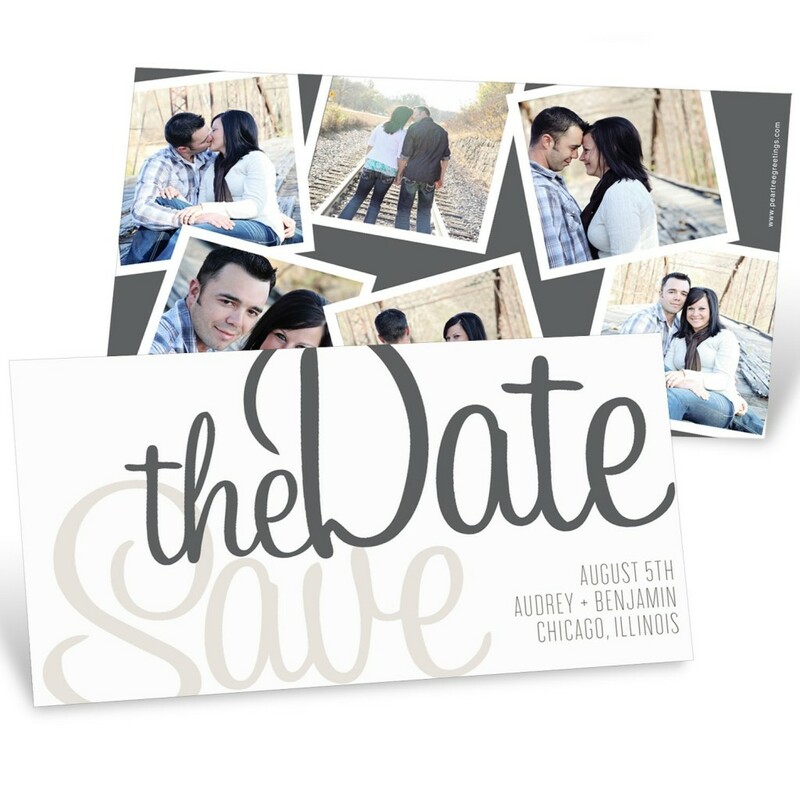 Save the dates are helpful for letting your guests know the exact details of your big day, and are especially helpful for out-of-town guests who may need to make hotel arrangements.